What's The Average Wait Time To See Your Physician? A survey done by Merritt Hawkins, one of the US’s leading physician placement firms, found that the wait to schedule aphysician appointment in Los Angeles is 12 days on average. 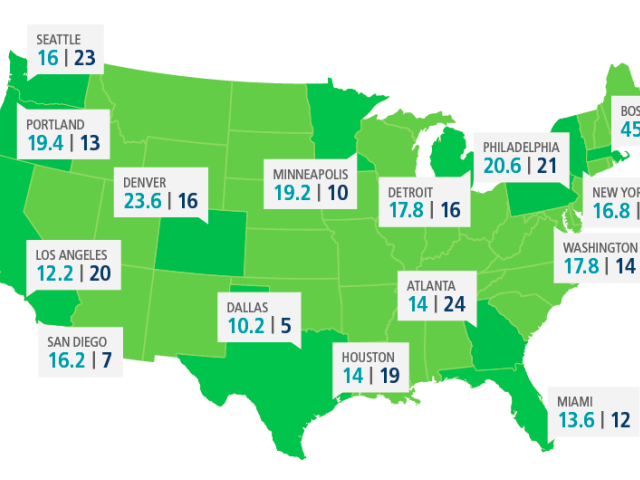 The survey analyzed 15 large metropolitan areas throughout the continental US. The shortest wait time was Dallas with an average of 10 days while the longest wait time was Boston with 45 days. Researchers are quick to point out that the wait times in the Boston area are due to Massachusetts healthcare legislation passed in 2006, which was a partial model for the Affordable Care Act. The researchers also found that wait times could increase nationally due to the lack of primary care physicians. This shortage will increase the volume of patients turning to the emergency room and urgent care centers for medical care. In an article from Physicians News Network, Dr. Mark Langdorf, editor-in-chief of the Western Journal of Emergency Medicine expects a 4% to 10% rise in yearly emergency room visits at UC Irvine Douglas Hospital. He believes the ACA didn't provide enough incentives to raise the amount of primary care physicians, which are already in short supply. Overall wait times, however, have decreased nationally since 2004. This can be attributed to practices investing in better IT and digital records, as well as hiring nurse practitioners to handle increased volume. In the Los Angeles area specifically, the rise in urgent care centers have led to shorter wait times. Ken Hertz, a consultant with the MGMA Health Care Consulting Group believes that wait times don’t always increase in proportion to patient volume. No matter what the case is, physicians need to adapt and evaluate new ways to lower patient wait time.